Yeah those look great, I remember seeing them a few years back but then forgot about it, thanks for the reminder! I recently bought the new Tascam 202 MKVII, and I’m quite happy with it. It cant complete with top of the line mid-80s decks feature wise, but there are next to no alternatives on the market right now. Yeah, that looks like 2x the cassette half of the one I bought. I’m just happy they’re making them at all. 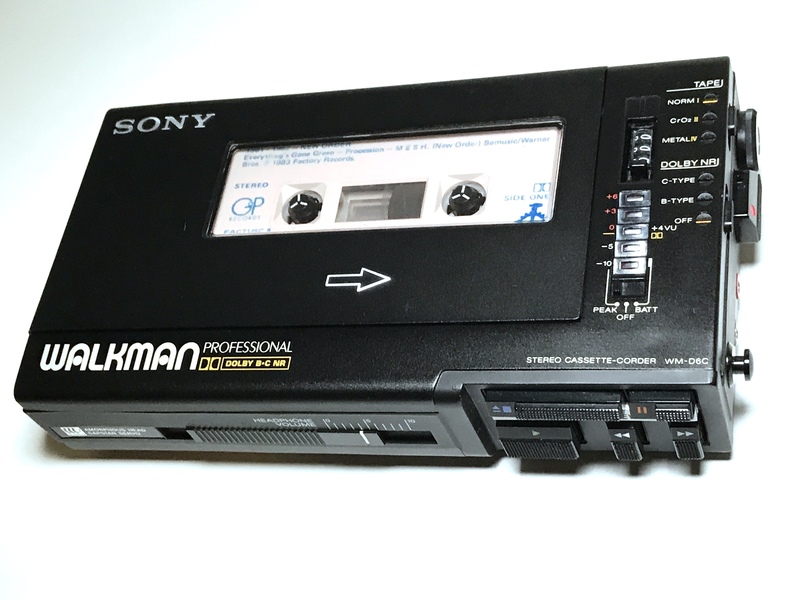 Another tip: Get an old walkman to use as a tape winder, it doesn’t have to be particularly good or expensive, it will save wear and tear on your main deck and comes in very handy. Of course if you get a decent one then it is nice for listening back on too, but a cheap one just for rewinding and fast forwarding can be very handy especially when wanting to review lots of tapes etc. Tape rewinders don’t seem to be very easy to find these days, I remember radioshack used to do a hand cranked one! What a beauty! I have a Fostex A8 (1/4" reel-to-reel 8-track) that still works great and still gets used frequently. 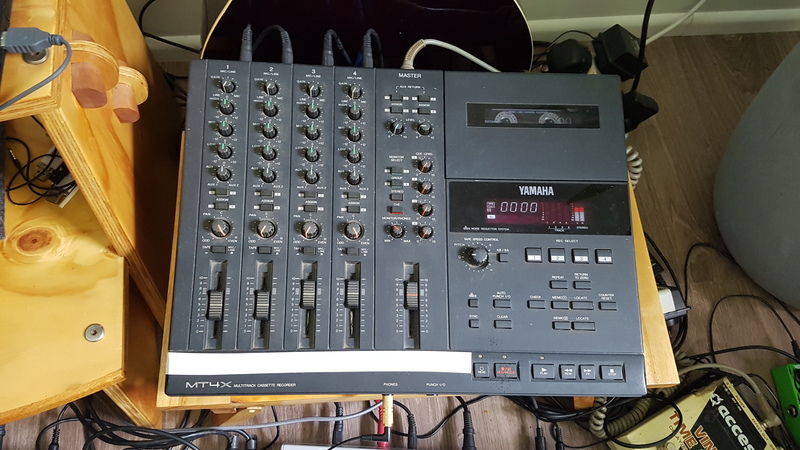 Started recording on consumer deck also in '92, a couple years later got a multi but was sort of fussy about the noise with several takes. Usually used Maxell chrome tapes, live dub, pushing about +4 dbs to (what I assumed was) masking/increasing noise floor. A BBE is suited for transferring/mastering cassette, just a 60/40ish mix wet/dry. Had some rock material I recorded to CDR and bounced to some brand of consumer deck that had a built in levelling/compression type thing, as the live drums and guitar was more suited to tape. You can actually get some quality recording straight to cassette if you hit the sweet spot, the mix is good and you have a little post-processing. That is of course unless you want the lofi. Great timing! I had a couple of blank tapes arrive from my mother today. Now I just need something to record and play them on. Near me there’s a place that repairs and sells restored decks. I can get a good Technics for €299, with warranty. I was looking for an old portable, maybe a recording Walkman, because I don’t have much space. But they’re so expensive now, and there’s no way to tell if it’s a good or bad one before buying. The repair place said as much, and that parts for them are hard to come by. Tape Tardis has some fantastic articles on tape. Well worth a few hours of your time. 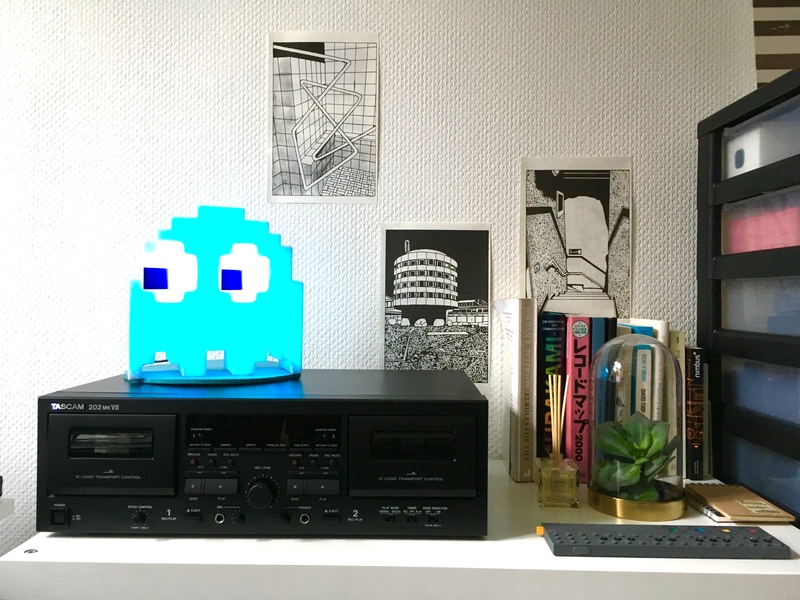 This belongs in a podcasts thread as much as here, but if you’d like to hear snippets from cassette releases, the Norelco Mori and Tabs Out podcasts feature cassette music from small labels. Norelco Mori is serious, Tabs Out definitely not. Both are fun in their way. I’ve got a Sony D6C in good shape I managed to get before the prices went through the roof a few years ago. I’ve had a lot of fun assembling playlists in Google Play Music and recording mix tapes and sending them to people… who usually don’t have a way to play them. sigh. I just got one of these, the Sony D6C, and may need a service or demag. Just a tad noisier than expected for listening to my old mixtapes. I recently used it on the job recording background audio for video. So far just used while filming an informational engineering video. When we added the taped background audio to it we all gasped at the effect it had. Firstly it made the primary WAV audio sound perfect without any EQ or compression (on the .wav), and the ambiance had a perfect realism for every location type (room, plant, open area). The video guys are trying to work out how to do it in post with a digital recording, but so far the best option, by far, is recording direct to the Sony D6C. The issue is of course, time. You can’t just cut and paste audio from a tape. I enjoy recording and trading tapes and I still own an old Aiwa consumer HiFi. I should hunt down an older Sony, Marantz or Tascam deck. How have i missed this? are used chrome tapes ok? idk chrome type I or II, but many here in Japan, fairly cheap. I remember from my childhood that my cousin got a bunch of used metal tapes (not that kind of metal tapes but type IV cassettes filled with synth music) from his good friend and when he tried to record heavy metal music over them it didn’t work. He could still hear the stuff recorded on them previously so it became a kind of a cacophony. That resulted in my cousin giving the tapes to me because they were filled with synth music like Vangelis, Jarre, Laserdance etc. That’s how I fell in love with Isao Tomita and especially his Pictures At An Exhibition -version. Since that I’ve always thought that you couldn’t re-record on metal tapes. 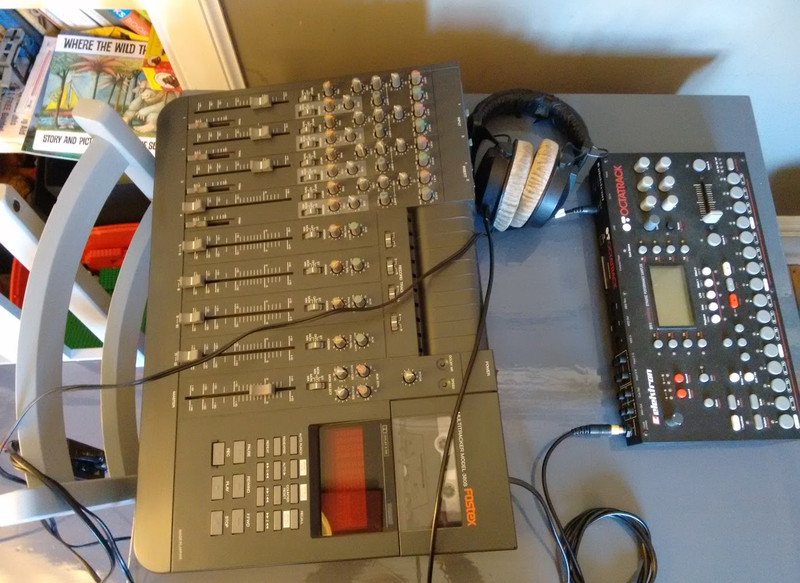 I was given a Tascam 246 Portastudioby a friend for a small debt about 10-15 years ago. It sat (tested), but completely unused for a long time before I then threw it in as a space creating bonus to a random who bought a synth off me. After getting a shock recently when coming across them on eBay for 4 digit prices, and doing some research to find they are one of the holy grail 4 tracker decks, I hope that machine found a loving home. Besides that, I still have an old mid range denon deck which I have used to dub down old band recordings to digital for archiving, boxes of heavy metal cassettes, and a bunch of recordings from radio, including some of Casey Kasem’s American Top 40 from pre-teen times… Also have a bunch of old 90’s electronic music mix tapes where we would trade and share our music via before cd copying and mini disks became the norm. Good memories, but time and technology (and musical taste) definitely moved on. I’m a big tape fan. I love the sound, of a cassette getting inserted and the musicality of tape recordings i general. A few months ago I bought again a Portastudio 424 Mk 1, because it was the only device I have regretted selling. I’m very much into tape loops right now and bought eight Sony microcassette recorders in a row. Does anybody know, where I can get microcassettes?